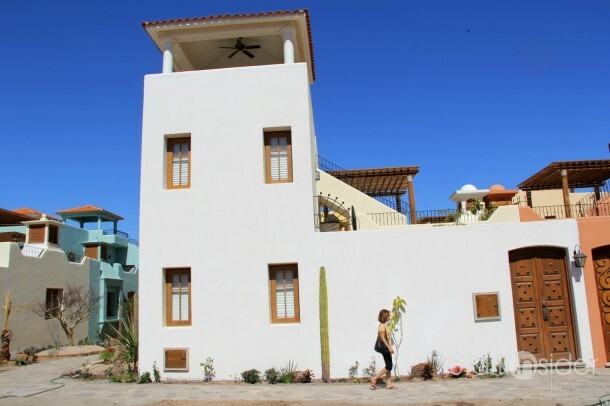 Pictured: A Loreto Bay home in the ‘Agua Viva’ neighborhood. The original developer went bankrupt in 2008, before Mexican developer Homex came to the rescue. Rachel Hennessey has published a short piece (Will Loreto, Mexico Be One Of The World’s Most Sustainable Urban Destinations?) about Loreto Bay on Forbes. Essentially recapping the trials and tribulations of construction, including the 2008 bankruptcy of the Trust for Sustainable Development (TSD), the original developer, the article is a good read for those interested in the area. While just three years ago project developers couldn’t even finish the initial plan, they’re now expanding the vision. The Villa del Palmar Beach Resort, refurbished Inn at Loreto Bay, and new condominium communities have all sprouted up over the past three years. Homes are selling at healthy prices again too, as single-family residences in Loreto’s various villages range from around $160,000 to almost $1 million currently. Can a garage-free development attract enough residents to grow into a thriving civilized community? Will the large quantity of new construction in an area that has already undergone struggles in its short history sell? 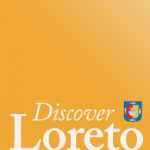 These types of articles are always helpful in raising awareness of Loreto Bay and the town of Loreto. Sometimes I somewhat selfishly hope that people don’t learn about our little secret (though it hasn’t stopped me from writing about the place since 2006!). But more buyers ultimately benefit everyone – local businesses, developers, and the community at large. 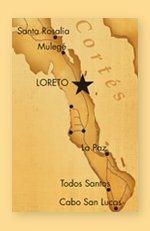 Clint founded Discover Loreto after being seduced by the town, charmed by the people and smitten by the beautiful Baja landscape (not to mention the fish tacos). Having purchased a little Loreto Bay casa he's happy to report that it's true: life is both relaxed and active here. Clint also co-founded Stark Insider. A lifestyle magazine with over 600,000 readers, the site covers "all things west coast" and is routinely cited alongside major publications such as San Jose Mercury News, SF Chronicle and Wine Spectator magazine. In 2013 Stark Insider TV became the largest arts and entertainment channel in San Francisco.